You will oversee the implementation of accounting, finance, cash flow, and administrative policies and procedures in compliance with the organizational requirements and will be managing the Finance and Administrative Department staff. Able to relocate to Catarman, a remote city on Samar Island in the Philippines. – Interviews will take place in Lyon (France) or Manila (Philippines) or, in exceptional circumstances, remotely. Applications that do not contain a CV and cover letter will not be considered. CVs longer than 2 pages will not be considered. – Do you want to evolve within an organization with a social mission, in a positive work environment? – Do you want to join a team where all members can actively participate in decision-making? – Do you share our values: entrepreneurship, pragmatism, professionalism, a social approach, bold ideas, confidence in success, sharing good practice, transparency? Entrepreneurs du Monde (EdM) supports the economic integration of families in vulnerable situations and helps them access essential goods and services. This allows families to achieve autonomy and improve their living conditions. To achieve its aims, Entrepreneurs du Monde supports the development of sustainable local organizations in three areas of activity: social microfinance, access to energy, professional integration and support for entrepreneurs. Within Asia, Entrepreneurs du Monde has programs in India, Myanmar, Cambodia, Vietnam and the Philippines. 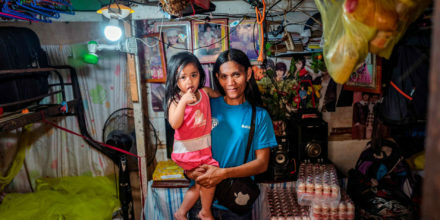 In the Philippines, Entrepreneurs du Monde is involved in microfinance through Samar Crusade Against Poverty, Inc., a microfinance institution created in 2017 to work in rural areas with farmers and small entrepreneurs.